Short Term Trading forex trading links forex trading books market statistics trader values euro and us dollar Shocks Crashing EURUSD: Will It Rebound Short-Term? After months of expectation, the European Central Bank has presented a huge package of measures aimed at boosting the anemic economic growth of the Eurozone and increasing inflation. 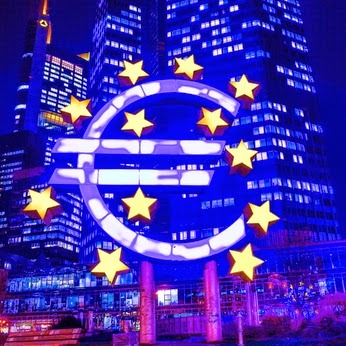 The ECB cut interest rates to its lowest level ever to 0.15% and introduced a negative deposit rate of -0.10%. In addition, it will end the so called “sterilization tender,” which should increase money market liquidity by more than 150 billion euros. The ECB will also provide banks with any liquidity needed against collateral until the end of 2016. Finally, it might soon announce the purchase of ABS (asset-backed securities). It appears clear that Mr. Draghi considers the current time to be crucial. He does not, however, disregard the introduction of quantitative easing in the future—particularly if inflation were to decline during the summer. The news eased sovereign debt yields in Italy and Spain with the Italian hitting an historical low of 2.75%. EURUSD could stay under pressure over the medium term; however, in the short term, it might rebound to 1.37. The market is oversold. Funds are extremely short for EURUSD, and seasonal conditions support a rebound in the second half of the year. Last week, the ISM Index confirmed the US economy is still performing well. The Production Index showed the widest movement reaching 61 (+5.3) and attesting that the winter weakness was only temporary. In fact, new orders rose to almost 57, and deliveries face challenges meeting the strong demand. The employment component, on the other hand, fell to 52.8. However, this increased in the manufacturing survey. Overall, US employment has performed nicely, but job creations fell to 217,000 in May. On an annual basis, the number is 281,000 versus 264,000 in 2013. The unemployment rate remained stable at 6.3%, but there is still a large number of part-time workers wanting to work fulltime. This represents 46% of the labor force as compared to 20% in the first half of 2000 for those not able to find work. The Job Openings and Labor Turnover Survey data for April offered a brighter picture and showed there were more than 4 million job openings, which is not too far from the peak of 4.6 million registered before the housing slump. Nonetheless, hiring improved only mildly, increasing by 2,000 people from the previous month. On the contrary, layoffs are at their lowest level since the index was created in 2000. The study of cycles still anticipates unemployment numbers to bottom out sometime in 2014/15 and then increase again for the last wave. Interesting analysis. We will have to keep an eye on it to see where things are going.